So what do we learn from Mark T. Barclay’s teaching on the Trinity? 1. That God is three parts. 2. God is not persons. ‘People language’ is only used for the sake of teaching, 3. Father, Son, and Holy Spirit are not their eternal identity. 4. It’s drastically different from the biblical orthodox doctrine of the Trinity. 5. Barclay is not a theologian nor a biblical scholar as he claims. One of the striking realities in both Barclay’s books, teachings and worship services is the lack of Trinitarianism and it’s easy to see why with such devastatingly definitions as we see above. In one single swoop Barclay dismantles biblical orthodoxy and the chain reaction to other biblical doctrines is cataclysmic. I say cataclysmic, because in Barclay’s preaching and teaching we don’t find a clear understanding of the orthodox teaching of justification by faith, nor sanctification which both are by the substitutionary atonement of Christ. Those teachings which are central to the gospel are just not found and it’s caused from this chain reaction of not understanding the Trinity. In other words, the domino effect is detrimental not only to other doctrines but to the gospel itself. The gospel is Trinitarian in shape, because salvation proceeds from the Holy Trinity. So what is the biblical definition of the doctrine of the Holy Trinity? The doctrine of the Trinity is there is one God who eternally exists as three distinct persons, the Father, Son, and Holy Spirit. In other words, God is one in essence and three in person. These definitions express three important truths: 1. The Father, Son, and Holy Spirit are distinct persons, 2. Each person is fully God, 3. There is only one God. Barclay also has his Christology wrong and is this from his refusal to acknowledge the Eternal distinct persons of the Trinity being Father, Son, and Holy Spirit. The Son is the eternal only begotten Word(Logos)of God, the Lord Jesus Christ. He is the only begotten Son of the Father, the Second person in the divine Trinity. Moreover, though the Lord Jesus Christ was the pre-incarnate Word his name wasn’t changed to ‘Son’ as Barclay teaches. On top of that Barclay shouldn’t be so quick to correct even the apostle Paul who when writing of the preexistence of the Son referred to him as Christ Jesus. Christ didn’t become the Son at his incarnation, but was already in existence as the Son, a person present with God the Father from all eternity. Jesus Christ, then is the eternal Son of God, the second person of the Trinity. He is God the Son first for Trinitarian reasons and when he became incarnate he became the son of Mary, the promised son of David, the Messiah. Without the Trinity there is no salvation, because salvation proceeds from the persons of the Trinity. The father so loved the world he gave his only begotten Son and whoever believes in Him shall be saved. This salvation, the eternal redemptive work of Christ is then applied to the believer by the ministry of the third person, the Holy Spirit. It’s no wonder why Barclay gets Christian history like Calvinism wrong like he preached at Amazing Grace Church in Wheeler, Michigan, it’s because he doesn’t understand basic doctrine. He has proven it time and time again. Church history and bible doctrine go hand in hand and Mark’s heretical definition on the Trinity found above clearly stands outside biblical orthodoxy. Moreover, Dr. Mark T. Barclay cannot call himself evangelical without an orthodox understanding and teaching of the divine persons of the Trinity. No matter what’s on paper or a statement of beliefs, what really matters is what he is teaching. In Mark T. Barclay’s ministry statement of beliefs it states that God is Triune, but when worked out theologically by himself it is not only deficient but doctrinally outside biblical orthodoxy, because his definition is heretical. This isn’t something new though, because many Word-faith ministers do exactly the same who are part of the Prosperity Gospel. They appear to teach biblical orthodoxy with a statement of beliefs posted on their website, but in reality they vomit falsity. For example Kenneth Copland has teachings concerning the Godhead which resemble that of Mormonism. It’s easy to see the doctrinal destructiveness of Mark T. Barclay’s heretical teaching on the Holy Trinity. From the eternal persons of the Trinity, to the Person of Christ which is Christology, to the redemptive work of Christ, his substitutionary atonement and doctrines like justification, sanctification of the believer are all corrupted by the domino effect from an warped doctrine of the Trinity. 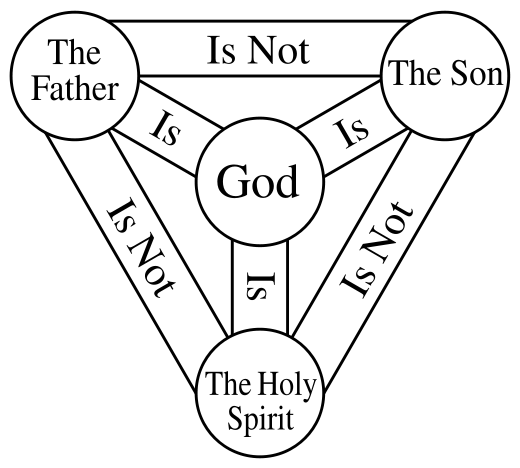 Without the Trinity one has a different gospel and a different god and not the Triune God of the bible. Barclay’s definition is heresy because its not the truth and like his false prophecies is a fabrication of lies. “What need would there be of the gospel, which is the substance of the New Covenant, laying down (as it does) that the Law and the Prophets lasted until John the Baptist, if thenceforward the Father, the Son, and the Spirit are not both believed in as Three, and as making One Only God? God was pleased to renew His covenant with man in such a way as that His Unity might be believed in, after a new manner, through the Son and the Spirit, in order that God might now be known openly, in His proper Names and Persons, who in ancient times was not plainly understood, though declared through the Son and the Spirit. Away, then, with those “Antichrists who deny the Father and the Son.”Church Father, Tertullian, Against Praxeas written before 208A.D. Mark T. Barclay’s denial of the real persons of the Godhead and his insistence that they are parts is akin and a form of Modalism. “The church rejected modelism as a heresy. It is clearly unbiblical, for the three persons enter transaction with one another. Jesus prays to the Father(John 17); the Father speaks from heaven while Jesus is on earth(Matt 3:17). The Father and the Son together send the Spirit into the world(John 14:16), and the spirit bears witness to Jesus.” John M. Frame, Salvation belongs to the Lord. 7.Tres Personae, una Substantia, coined by Tertullian and means Three Persons, One Substance. 8. “Christian worship is specifically the encounter with the Triune God whose is revealed in the mystery of salvation, in the work of the Father sending the Son and the Spirit for the redemption of the World. This is why as noted above, the traditional Christian doxology was to the Father, through the Son and in the Holy Spirit.” Pentecostal Theologian Simon Chan, Liturgical Theology pg. 58. 9. The Deep Things of God: How the Trinity Changes Everything by Fred Sanders. 10. Church Father, Tertullian, Against Praxeas written before 208AD. Is this a Barclay book or a sermon?